Claussen's grown Succulents are available year-round. We grow an eclectic selection of succulents right here in our Colchester, Vermont location. Succulents may be purchased individually or designed in a succulent garden. 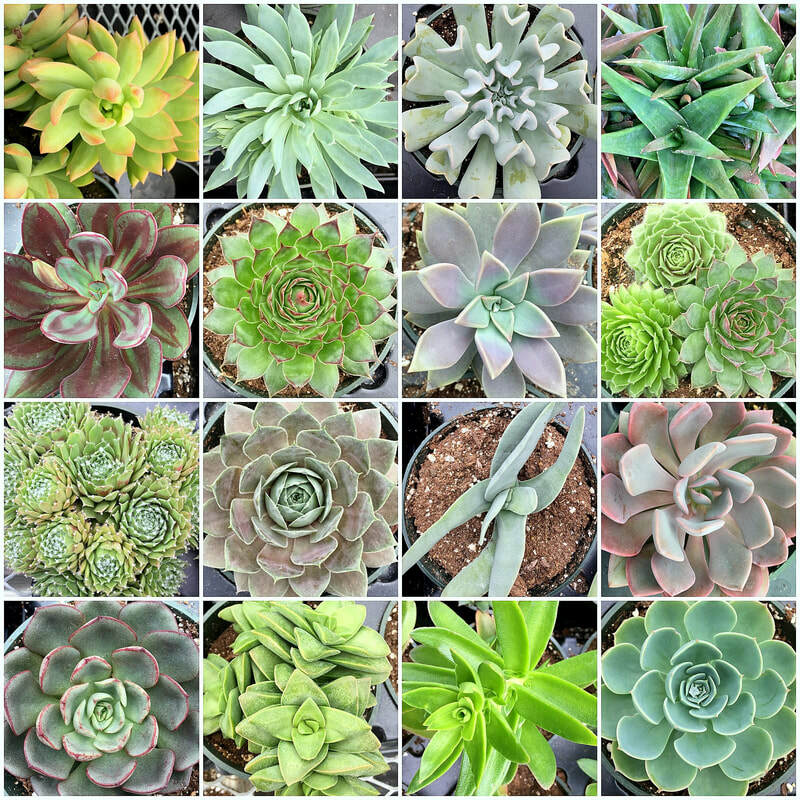 You will find a large selection of succulents available inside our retail greenhouse #2 & #3. If you are looking for a unique design, let us know and we will work directly with you to design your one of a kind succulent garden. Succulents are very adaptable houseplants and will thrive in a range of indoor & outdoor condition. Succulents can be very difficult to kill, and if properly potted require little maintenance to survive indoors. Light: Succulents require high light locations (near a sunny window). Artificial light will not do. Watering: Moderately dry soil is best for succulents. Allow the soil to dry between watering. Soil: Succulents need good draining soil (such as a Cacti Soil). A typical potting soil holds too much moisture. Fertilizing: Succulents do not require much fertilization, water once a month with a well balanced fertilizer.